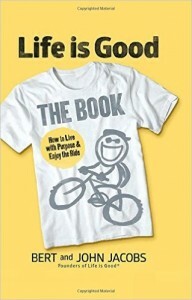 >> What Do You Write about if Life Is Good? Must you have a dark past to be a great writer and tell engaging stories? Absolutely NOT. Empathy is one of the greatest tools writers can wield. We connect with readers when we make them feel something and when we make them believe we understand and relate to them. Sure, sometimes that means writing about the painful parts of life. But it can also be about joy, excitement, love, passion, discovery, possibility and so much more. Notice and write about what’s going on in the world around you. Whether you write fiction or non-fiction, the world provides endless fodder! The trick is to not only notice what’s going on around you but to also capture your ideas before they flitter away. The moment you have an idea, make a note in Evernote, or scribble it in a notepad or on a napkin or, if you’re desperate, your arm. If your life is good, write about it! Write about your passions or what you’ve learned. Discovery sparks the imagination. If you intentionally keep learning and exploring, you’ll always have something new to write about. What are you great at? What do people come to you with questions about? What do you read about? Write about that. Write about what’s working for you. If your life is basically good, ask yourself why that’s true. What are you doing that is working well for you? My guess is there is some wisdom to be shared from your life’s experiences. Maybe it’s your planning and organizational skills that keep chaos in check for you. Maybe you’ve learned coping or emotional skills that help you diffuse drama before it gets out of hand. Maybe you have found or created ways to save money, time or your sanity. It’s unlikely you’ve lived a life completely free from hardship. It’s far more probable that your positive attitude and the way you approach life helps you deal with challenges. That, too, can be worth writing about. 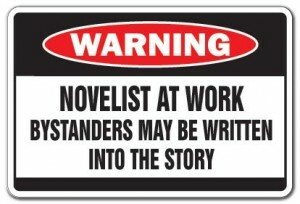 The point is: You don’t have to be in constant agony to be an amazing writer. Art doesn’t have to be about suffering. It can be about joy, hope and progress. How refreshing!